I went up to Lewisville yesterday to try a few places I'd heard good things about. After getting a good sandwich from Dusty's Bar-B-Q trailer off of Swisher Road, I headed south to try Hickory Hut Bar-B-Que Cafe, but found a closed sign and a make shift market stand selling fresh veggies. According to the vegetable seller, the restaurant owner had some recurring problems with a difficult landlord, so they pulled out of the joint and are now focused on their catering according to the message on their voicemail. A trip to downtown led me to another closure. It seems that the proprietors of RW's Smokehouse have also been locked out of their place since 11/12, and their disconnected phone makes me think they don't have plans to return. If anyone knows any more details, please comment. 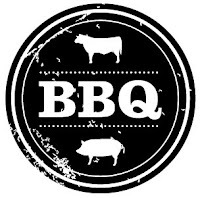 While I can't tell you what happened to RW's Smokehouse, I would like to throw a recomendation out there for an amazing BBQ Catering company out of the Metroplex area. NEVS BBQ is my new favorite caterer. They make some amazing food, and the owner is a really interesting guy. He runs the company, and is also the executive chef of a really high end steak house in Carrollton. They make everything from scratch, and they cook it till it's falling apart! Thanks for the update on Lewisville, hopefully this doesn't become a trend. Texas has the best BBQ on the planet!